The Belize Coalition to Save our Natural Heritage today, Wednesday, December 3, 2014 launched a two day Art Exhibit featuring 43 pieces of art work from primary school students under the theme: “Belize with a Properly Planned Oil Industry vs. an Improperly Planned Oil Industry” at the Belisle Art Gallery at the Bliss Institute of Performing Arts. 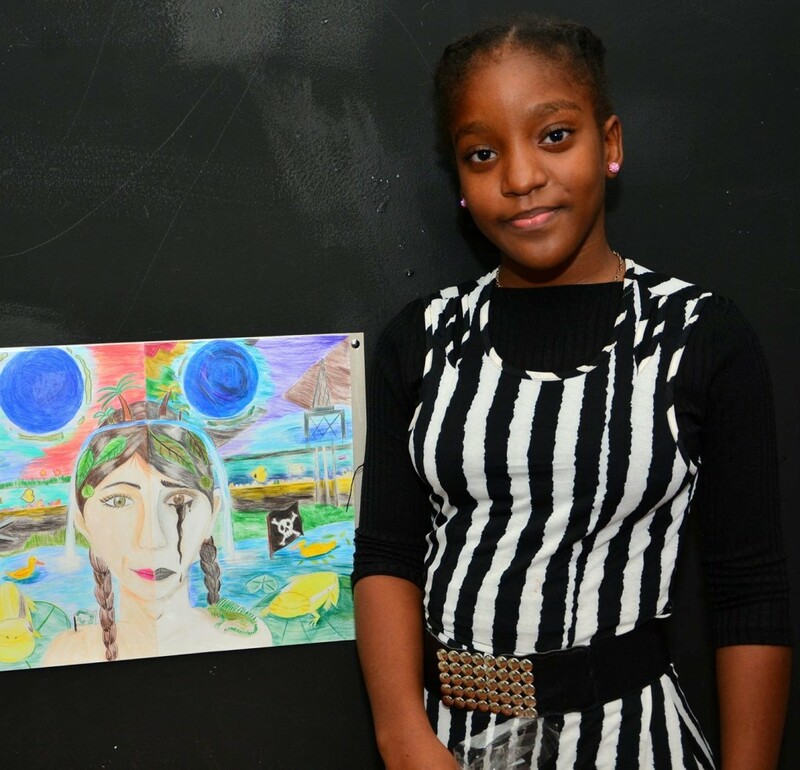 The Art Exhibit represents the entries into an art competition for primary school students and this morning the first place winner was named as Amber McKoy of Grace Primary School. Amber’s art work depicts economic, environmental and cultural benefits and gains of a properly planned oil industry contrasted against loss caused by an improperly planned oil industry. For her first place win, Amber was given a trip for her class to the Hol Chan Marine Reserve, gift certificate worth Bz$125 for art supply and promotional items from the Coalition. All other students received certificates of participation. The Art Exhibit opens from 10:00 a.m. to 4:00 p.m. at the Belisle Gallery at the Bliss Institute for the Performing Arts and runs until Thursday, December 4th. San Pedro starts celebrations for Dia de San Pedro!